Feb. 8 (ANA-MPA) — The Greek Ministry of Economy and Development, the European Bank for Reconstruction and Development (EBRD), and the Athens Stock Exchange (ATHEX) on Thursday signed a Memorandum of Understanding (MoU) to join forces to boost capital market activity and increase the capacity of small and medium-sized enterprises (SMEs) for initial public offering (IPO) or corporate bond issuance on the Athens Stock Exchange. With the support of the EBRD-Greek Technical Assistance Fund, the new SME Pre-listing Support Programme will extend tailored advisory services to SMEs wishing to access the local capital market. The programme will be implemented by the EBRD in close coordination with ATHEX over 30 months. They will work hand-in-hand to build on the recently launched Roots Programme that also aims to assist SMEs to access financing through the local capital market. Interested SMEs can apply to the programme with an expression of interest through the Roots website . Each enterprise selected will receive a diagnostic on their readiness for listing, based on which a tailored work plan will be developed and executed by high-calibre experts. The programme will be implemented under the EBRD’s Small Business Initiative and the Local Currency and Capital Markets Initiative. The signing of the MoU took place in the presence of Ilias Xanthakos, Secretary General of the Ministry of Economy and Development, Socrates Lazaridis, Chief Executive Officer of the Athens Stock Exchange and Sabina Dziurman, EBRD Director, Regional Head of Greece and Cyprus. Xanthakos said: “The implementation of the Programme in Greece is innovative and will substantially contribute to the transfer of know-how and best practices from other countries. We expect the Programme to improve the level of information flow to Greek SMEs on alternative sources of financing beyond bank lending, and to set the conditions for the rejuvenation of the Greek capital market. The Programme is one of the two programmes funded by the EBRD-Greek Technical Assistance, with the other one being focused on Expanding SME Access to Trade Finance and Advisory in Greece”. 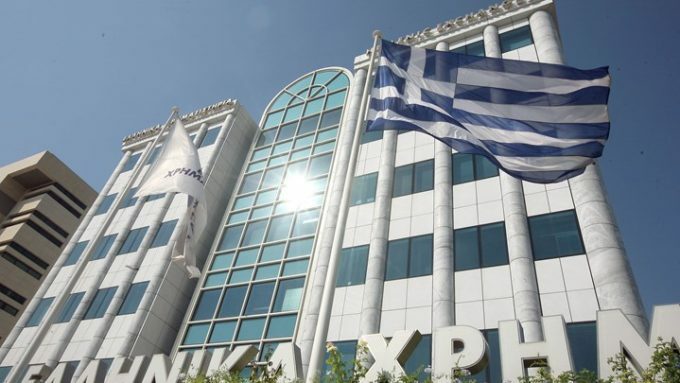 Lazaridis commented: “We are delighted to be joining forces with the EBRD, an old partner of ours in several successful projects, to enhance the role of ATHEX as an efficient and effective fundraising mechanism for SMEs, an important contributor to the development of the Greek economy. Having the opportunity to capitalize on the experience of the EBRD in supporting SMEs and developing the capital markets for this purpose, strengthens our confidence in achieving this goal.